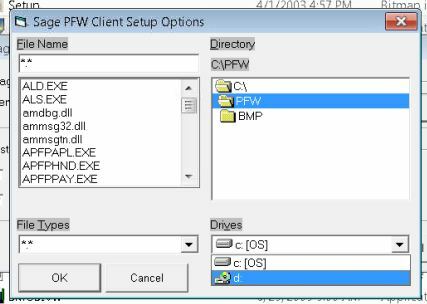 We received a call for small business computer support this week when a Sage PFW ERP client ran into a challenge with Windows 7. Microsoft pushed out several patches back to back, and one of them brought forth an interesting bug. The effect was that Sage PFW ERP Client lost its mapping to the server. However, the workstation itself could still get to the mapped drive without any issue causing mass confusion. This is because in Windows 7 the mapping in “My Computer” and Explorer is UNC, not DFS. When Sage PFW ERP goes to the server, it still uses DFS which errors out with this bug.